How does "unused" targeting work? Exile target artifact or enchantment. 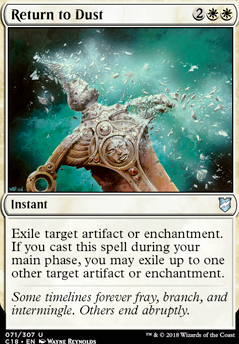 If you played this spell during one of your main phases, you may exile up to one other target artifact or enchantment. 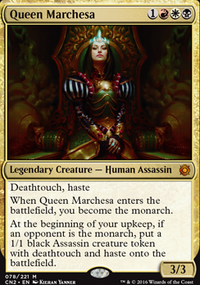 There are a lot of valuable aristocratic cards to help for a deck like that. 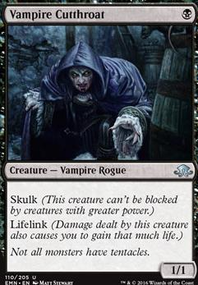 Teysa Karlov helps double up on all your Zulaport Cutthroat and Grave Pact effects. Get yourself both a Phyrexian Altar and an Ashnod's Altar if your budget allows for it. Don't skimp on card draw effects and token generators, and it's always worth including removal for opponents' things - don't cut all the removal in favour of move combo pieces. Include a Return to Dust or something. It never hurts to include a few board wipes. The land denial is a very valid option, just one I have personal dislike for. If your playgroup is more cutthroat or that's a strategy you enjoy then definitely throw that in. 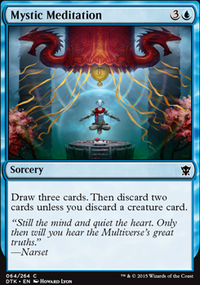 I did consider Mox Diamond , it didn't make it in mostly due to initial budgetary reasons and may eventually make it in if I can find an FTV one for a non-insane price, although that extra mana rock hasn't been necessary. Mox Opal I had not considered. I don't think my density of artifacts is high enough to consistently turn it on turn 1 or 2 where you really need it. I still don't think I do but I originally hadn't run the artifact lands nor the artifact tutors. Kogarashi on How does "unused" targeting work? With Return to Dust , it's because of timing. You could be casting this spell whenever, so you choose all targets you want at the time. The second target is subject to a "may," so you choose it or not. Then as the spell resolves, it checks whether you've cast it at the appropriate time for the second target to be affected. By this point, you've already cast the spell targeting your second target, so abilities like Heroic will have triggered. With Orim's Thunder , it's because of costs. You have direct control over whether or not you're going to pay that kicker cost. So when the spellcasting steps require you to choose your targets, you declare whether or not you'll target a creature. Then when you determine the cost of the spell, the game accounts for your choice of targeting a creature and requires you to pay the kicker to make the spell valid, or backtrack to choose your targets again without the creature. So unless you're targeting your own artifact/enchantment creature with Orim's Thunder , you will need to kick it to trigger Feather, the Redeemed . 1) If Return to Dust is not cast but merely copied or otherwise put on the stack in some fashion, its controller would still choose 1 or 2 targets for it, because they are allowed according to the ruling. Nothing would happen to the second target because the timing requirement was not met. "601.2c The player announces their choice of an appropriate object or player for each target the spell requires. A spell may require some targets only if an alternative or additional cost (such as a kicker cost) or a particular mode was chosen for it; otherwise, the spell is cast as though it did not require those targets." 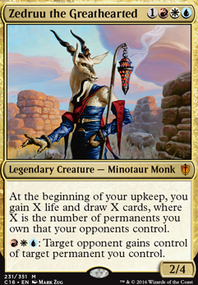 This indicates that Orim's Thunder would be cast as though it didn't require the creature target if the kicker wasn't going to be paid, or in other words that you'd have to plan to pay the kicker in order to choose a target creature. 3) Feather, the Redeemed 's ability triggers when you cast the spell, and all targets must be legal at this point. When the spell goes to resolve, at least one target must still be legal in order for the spell to actually resolve; otherwise it's removed from the stack with no effect and you won't exile it (same as if the spell is countered instead of resolving). All spells with targets must have at least one legal target in order to resolve. It doesn't matter if they have another effect on them. So Expedite 's target must be legal, or you won't get to draw a card. 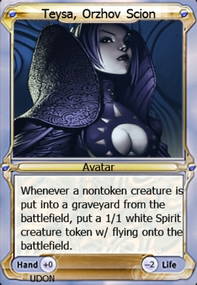 Chandra's Pyrohelix or Aurelia's Fury could be divided among creatures and players, so as long as one of your creatures is one target and your opponent is another, then giving your creature protection won't cause the spell to fizzle. Rambolicious_0 on How does "unused" targeting work? Return to Dust can have 2 targets no matter when it is cast. What if it's not "cast?" Can Orim's Thunder still target a creature if it's not kicked (and do nothing to it)?